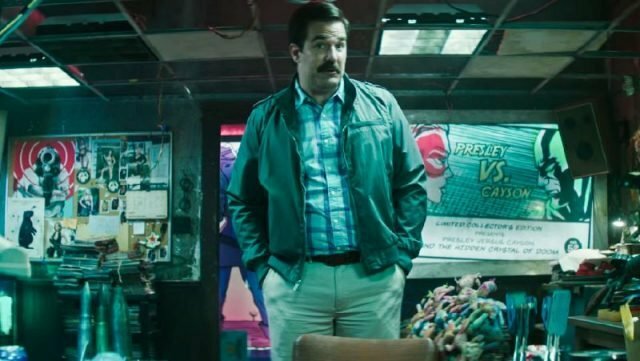 Deadline reports that Deadpool 2 actor Rob Delaney has signed on to join the ensemble cast of director Jay Roach’s upcoming Roger Ailes biopic Fair and Balanced. He is set to play one of Megyn Kelly’s producers. Delaney is best known for his role in the Emmy Award nominated British sitcom Catastrophe which he also serves as co-creator and co-writer with Sharon Horgan. The film is described mostly as an ensemble piece, with the majority of the focus being on former Fox News chief Roger Ailes (John Lithgow, The Crown) and his ultimate downfall that came about after a number of women, including Gretchen Carlson (Nicole Kidman) and Megyn Kelly (Charlize Theron), sued him for harassment. Other characters that will be included in the film are former anchor Greta Van Susteren and former host Bill O’Reilly. The cast will also include Alice Eve (Replicas), Alanna Ubach (Coco), Elisabeth Rohm, Spencer Garrett, Ashley Greene (The Twilight Saga), Bree Condon and Nazanin Boniadi (Hotel Mumbai) who are all set to portray the roles of Fox News hosts Ainsley Earhardt, Jeanine Pirro, Martha MacCallum, Sean Hannity, Abby Huntsman, Kimberley Guilfoyle and Rudi Bakhtiar, respectively. Emmy award nominated actress Connie Britton has also been cast as Roger Ailes’ wife.